A climate of unprecedented turmoil has been prevailing in the Polisario-controlled Tindouf camps over the past few weeks. Several voices in Tindouf and in Western Sahara have denounced the barbaric repression exerted by the Polisario militias and torturers against the Sahrawis having staged a series of peaceful demonstrations to protest the systematic violation of the Sahrawi populations’ basic rights. The Rguibat-Souaed tribe settled in Laayoune, the regional capital of Western Sahara, has recently asked the UN Secretary General, Ban Ki –Moon, to intervene immediately to pressure the Polisario and Algerian authorities to end the abuses inflicted on the demonstrators in the Tindouf camps. In a letter they addressed to Ban Ki-Moon after a meeting held Saturday in Laayoune, the tribe members strongly condemned the “barbaric conduct” of the Polisario militias and Algerian forces, affirming that the demonstrators were violently attacked and abused verbally and physically. The tribe members also requested the release of the detainees held without trial in the Polisario jails on Algerian soil and the restoration of their property confiscated by the Polisario militia. In their letter, the tribe members also called for freedom of movement and expression in Tindouf camps. The deterioration of living conditions in the Tindouf camps, the restrictions to freedom of expression and movement imposed on the camps inhabitants in addition to the recent death of two Sahrawis killed by Algerian soldiers near the borders with Mauritania are among the reasons that ignited the protest movement where the youths have massively participated. 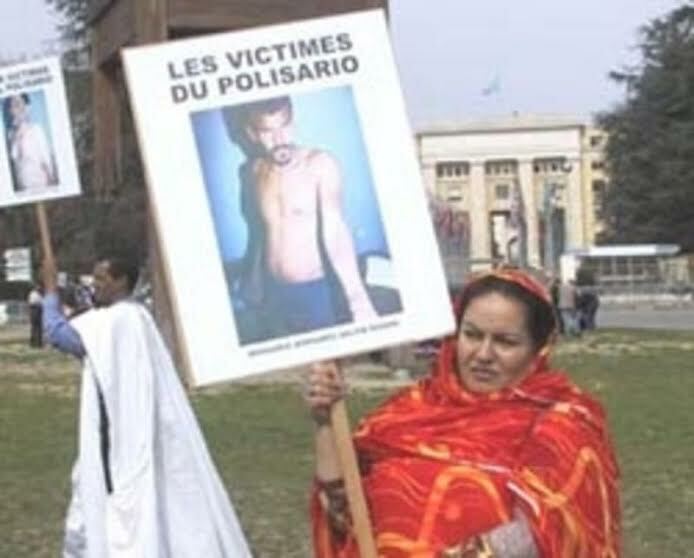 In a solidarity move with the families of the two victims, several Sahrawi tribes and associations have demanded the opening of an international investigation into the double murder that the Algerian authorities and the Polisario leadership are seeking to cover up. According to several witnesses from Tindouf, the young Sahrawi demonstrators do not seem about to calm down at the time the situation in the camps is becoming more explosive.